Show your love this Valentine’s Day with a special dessert just for two! 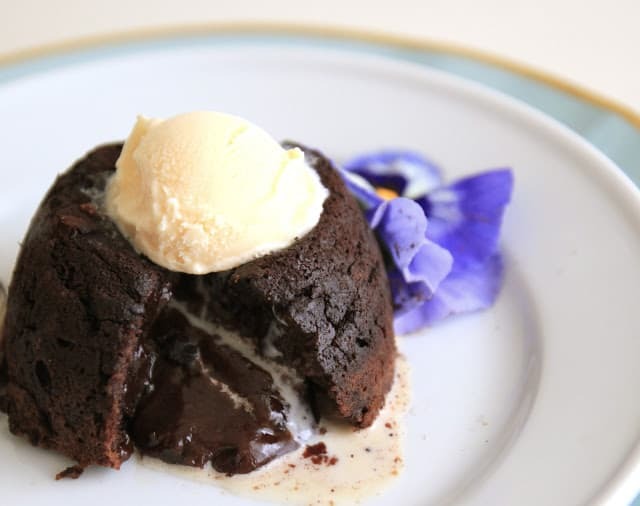 Looking for some ideas of desserts for two this Valentine’s Day? We’ve got you covered with this delicious list of 10 desserts for two! My husband and I love good cheesecake, but our tastes are different. I enjoy a rich and chocolaty treat, but he likes a fruity flavor. One of the best ways to make sure you both get something you’ll love is to make the servings smaller. You can do this by making your own cheesecakes using mini springform pans, buying a single slice from your favorite local sweet shop, or even buying a larger cheesecake with a variety of flavors to choose from. Homemade in the Kitchen has a yummy recipe for cheesecakes for two. 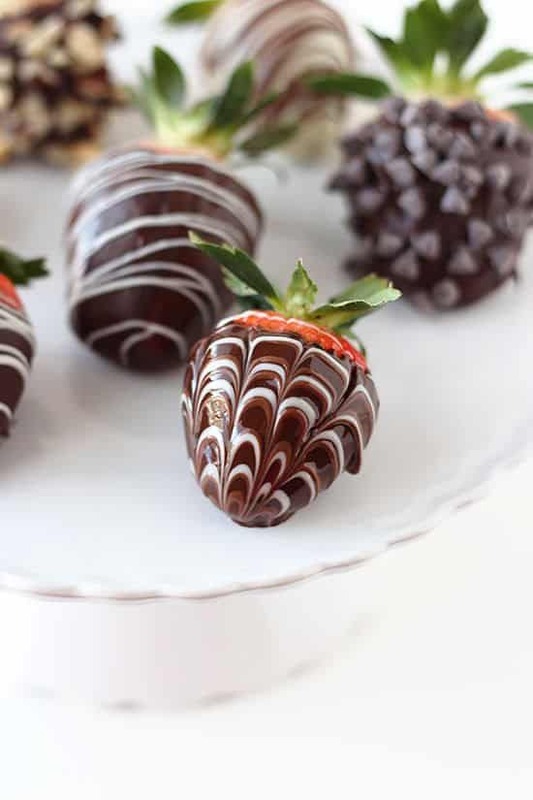 Strawberries often go on sale this time of year because chocolate covered strawberries are a popular treat for Valentine’s Day. 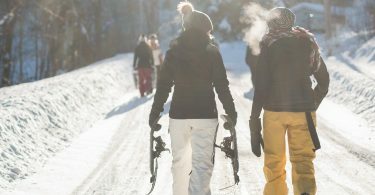 Making them yourself is easy, especially with these tips from Handle the Heat! 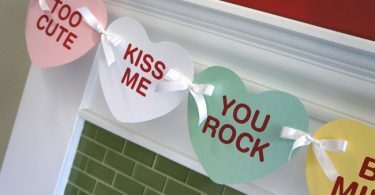 Or you can make things easier on yourself and buy them already made from the store. Sometimes there’s nothing better than eating a warm gooey brownie or piece of warm pie with some ice cream on top. Just mix up a batch of brownies (homemade or store bought) or make a pie and pull out some ice cream (vanilla bean goes with pretty much anything)! 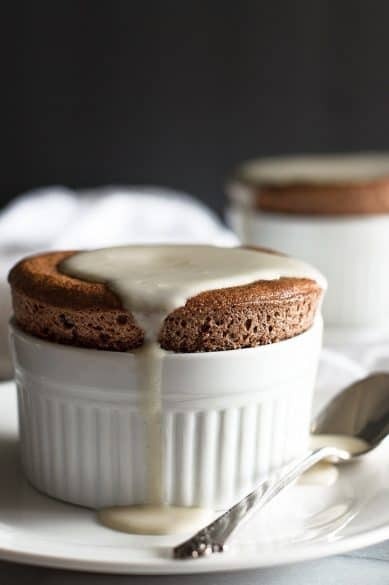 Souffle is one of those desserts that sounds really fancy and difficult to make, but is actually not too hard. I’ve made them for myself and my husband before and they turned out delicious! Pick up or borrow a couple of heart shaped ramekins and then check out this recipe from Baking Mischief to learn how to make them yourself. There’s something so fun about dipping which is why chocolate fondue is a great way to enjoy some yummy treats for two on Valentine’s Day. Some ideas of foods you can dip in chocolate (milk or white) are marshmallows, strawberries, bananas, raspberries, blueberries, pineapple, bite-sized rice crispy treats and cream puffs. 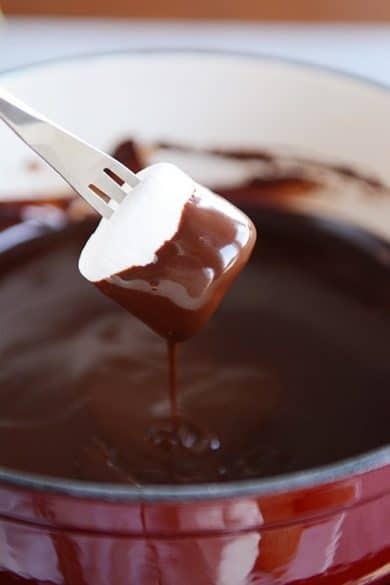 Find a simple recipe for making your own chocolate fondue from Mel’s Kitchen Cafe. Similar to the brownie or pie a la mode, a pizookie is basically a cookie that’s baked in a 4-6″ cake pan and pulled out of the oven just before it’s fully baked through. You then put some ice cream on top while it’s warm and you can then share it between the two of you! Check out this roundup from A Night Owl for 25+ different pizookie recipes. Cupcakes are a perfect way to get your sweets’ fix without having to worry about being tempted to eat more. 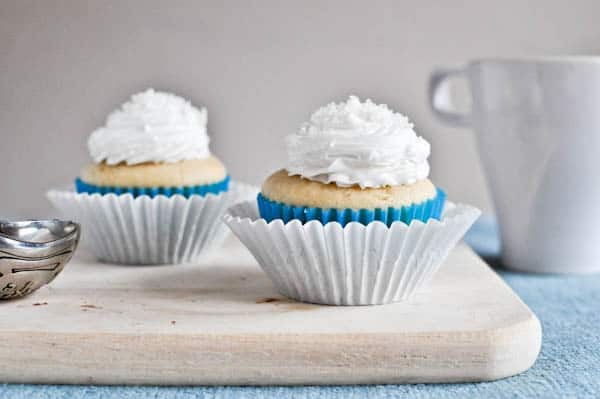 I’ve used this recipe to make just two cupcakes from scratch with yummy frosting and topped with sprinkles or our favorite crushed up candy bar. Of course, you can skip making your own and simply buy cupcakes from your local cupcake shop! By nature, creme brulee is a smaller dessert to begin with which makes them the perfect dessert for two! 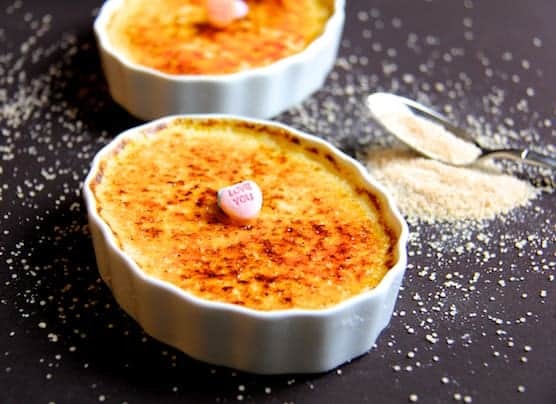 If you want to make your own but don’t have a blow torch, you can still get that caramelized sugar on top by sticking the creme brulee in the broiler for a minute or two. This recipe from From A Chef’s Kitchen is a great recipe to use for making your own creme brulee for two! 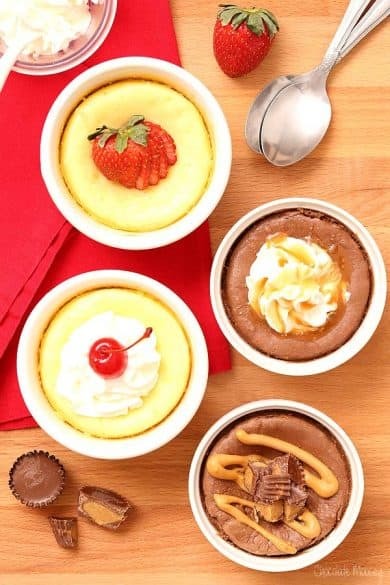 If chocolate is what you want for your Valentine’s Day dessert, look no further than these mini lava cakes! A cupcake tin and this recipe from Jenny Steffens is all you’ll need to make them yourself. 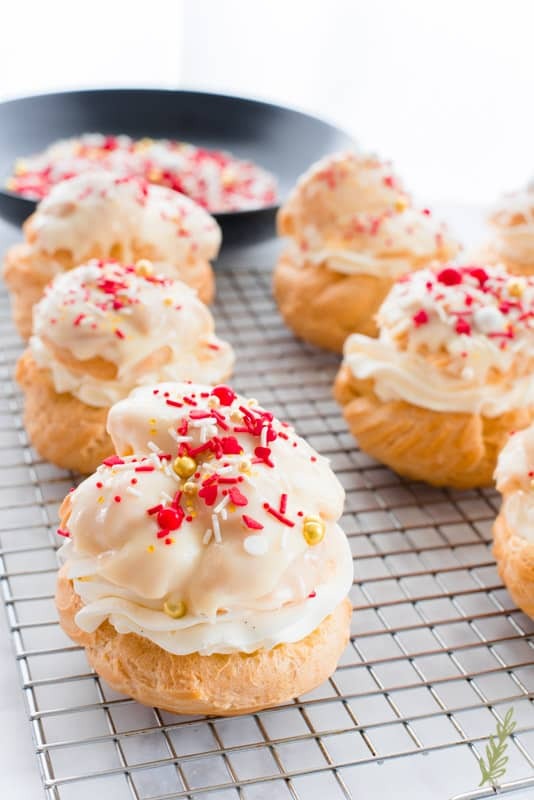 Store bought cream puffs are delicious, but if you’ve wanted to try your hand at making them yourself, this step by step recipe from Sense and Edibility makes it easy! Bite sized and delicious, you can have a few filled with anything you want: cream, chocolate or fruit just to name a few.